A personal injury claimant can recover the reasonable value of pain, suffering, emotional distress, loss of income, reasonably necessary costs and expenditures, and loss of enjoyment of life, due to physical injury, disfigurement, or death resulting from the negligence of another. Serious and life threatening conditions and complications may follow initial injury, such as shock, infection, organ failure, and death. Physical injury and trauma can be disabling. Disability generally means a loss of function or ability, and can be temporary, long-term, or permanent in nature. Loss of function or disability can affect organs, limbs, senses, movement, and mental capacity and thought, and can range between slight or partial disability, to complete disability. Soft tissue injury is injury to muscles, ligaments and tendons, and other connective tissues, throughout the body. This includes spinal discs. Soft tissue injuries can result from, among other things, overuse, abnormal use, and trauma. Types of soft tissue injuries include sprains, strains, contusions (bruising), tears, ruptures, and the like. Soft tissue injuries can cause temporary or permanent discomfort, pain, and swelling; injury to other tissues and organs; and a decrease in or loss of use of limbs and bodily functions. Rapid acceleration and deceleration forces, the type of which often occurs in auto collisions, frequently cause neck and back soft tissue injury, often referred to as “whiplash.” This can result in a bulging or herniated disc, which can cause pain, numbness, tingling, or loss of function throughout the body, depending on the location of the affected disc. A disc injury is usually serious enough to warrant some form of health care or treatment, and may require surgery. The spine is made up of several bony structures called vertebrae. Between each vertebrae is a fluid-filled cushion-like disc which can bulge or actually rupture as a result of acceleration - deceleration forces, or other traumatic injury. A bulging or ruptured disc can place pressure on the spinal cord or exiting nerves, or can cause a misalignment of the spine, which may also affect exiting nerves. Neck and back injuries are often debilitating. However, proving the injury is often difficult. A bulging (herniated) or ruptured disc may be revealed by advanced imaging techniques. However, soft tissue injuries, regardless of location, are often not disclosed by any form of imaging. Because of this, recovering reasonable damages for a soft tissue injury may become more difficult than with other types of injuries. Orthopedic injury may be soft tissue injury, skeletal (boney injury), or both. Soft tissue injury is discussed above. Skeletal injury, such as bruised or broken bones (fractures) can occur from a variety of circumstances, and the resulting injuries and symptoms can range from slight to very serious. Orthopedic injury may require surgery and periodic clinical treatment, such as chiropractic, physical therapy, massage therapy, pain management, and the like. Serious orthopedic injury may cause or result in amputation or paralysis. Amputation of a body part may be a life-altering injury. Paralysis is usually the result of a damaged or severed nerve, and may be caused by or co-exist with an orthopedic injury. Paralysis may be temporary or permanent, and partial or complete. Depending on what body parts are affected, permanent paralysis may require a lifetime of various types of health care, therapies, and treatment. A person who has had serious orthopedic injury, amputation, or paralysis may become permanently and partially or fully disabled. If an injured person is not fully disabled, retraining may be required for them to remain in the workforce. Brain injury causing loss of mental capacity, cognition, and sensory loss (except for touch) is discussed elsewhere. Neurological injury may occur in various ways, have various symptoms, and be temporary or permanent in nature. 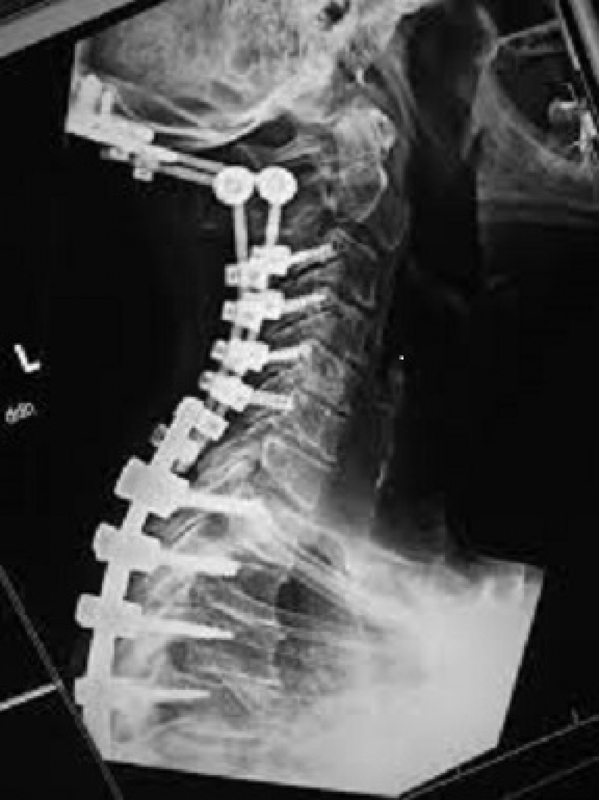 Automobile collisions, usually due to driver negligence, may result in injury to an occupant's spine and related soft tissues, such as ligaments and vertebral discs. Damaged discs may shrink or bulge, putting pressure on or pinching exiting nerves and nerve roots. This may result in pain, tingling, numbness, loss of feeling or touch, and loss of function or control of limbs, other body parts, and organs. Negligent health care and treatment may allow for one or more embolic or hemorrhagic strokes to occur, interrupting blood supply to or putting pressure on brain tissues and nerves, causing neurological injury or death. Automobile collisions, surgical error, workplace accidents, etc., may result in severe neurological injury such as loss of bowel or bladder control or function, loss of sexual capacities, or complete paralysis. Chemicals, prescription drugs, herbicides, insecticides, etc., may also cause various types of neurological injury, from cognitive deficits to impairment of motor skills and functions. Injury to part of the body's complex nervous system is often difficult to diagnose, assess, and treat. Various tools and techniques are used, from electronic measurement of nerve conduction and responses, physical testing of motor functions, CT and MRI imaging, and testing of specific areas of concern, such as hearing and vision. Serious and permanent neurological injuries may require physical and occupational rehabilitation and therapy. Virtually all severe physical injury has a neurological component or consideration. Disfigurement is a noticeable, negative or unpleasant difference or change in appearance. Most claims for disfigurement relate to visible scarring of the face, neck, lower arms, or lower legs. These are the parts of the body most often visible to others. Many claims for disfigurement result from animal bites (often dogs), lacerations (cuts), abrasions (resulting in partial or complete skin loss), and burns, including chemical burns. Severe injury, including broken bones and spinal injury can cause severely changed posture and alter the appearance of limbs. Disfigurement often results from automobile collisions, and accidents in the home or workplace. The disfigurement may be minor and difficult to notice, moderate, or extreme, such as loss of a limb or severe skin damage from burns. Disfigurement may also occur at or before time of birth, due to genetics, or negligence (pharmaceutical injury, prescription error, birth injury, etc.). The nature and extent of an injury, and the promptness and quality of medical treatment, greatly influence the extent and permanency of disfigurement. Whenever there is an injury that is at risk of causing permanent cosmetic (appearance related) disfigurement, it is important that a plastic surgeon assess the injury before deep cleansing, debridement (removal of injured tissue and objects such as glass), and wound closure (stitching, stapling, gluing, etc.) occurs. Harsh cleansing, less than gentle debridement, and inappropriate wound closure may cause or allow for significant and unnecessary scarring, including keloid scarring (an irregular and fibrous build up of tissue). Severe injuries may require lengthy treatment, including skin grafting. Where loss of a limb or other body part or member occurs, or is possible, specialists in general, orthopedic, vascular, and/or neurological surgery may be required to attempt reattachment, or preserve functionality. Disfigurement often causes significant psychological impact, especially facial disfigurement in females. Increased self-consciousness, lowered self esteem, anxiety, depression, and social avoidance are common reactions to newly acquired disfigurement. Studies have proven that "normal people" avoid or interact less with noticeably disfigured people. If a disfigurement was acquired traumatically, as in a severe automobile collision, attack from a dog, or a brutal assault by another, the disfigurement serves as a daily reminder of the incident. Counseling and various forms of therapy may be required to help an injured claimant heal, emotionally. Physical injury and trauma can be disabling. Disability generally means partial or complete loss of some bodily function or ability, and can be temporary, long-term, or permanent in nature. Loss of bodily function or disability can result from affected organs, limbs, senses, motor control, mental capacity, and thought or cognition. Losses of bodily function can be direct (severed limb, punctured eye, etc. ), or indirect, including but not limited to disease processes and neurological deficit or injury (bladder and bowel control, paraplegia and quadriplegia, sexual function, and sensory function, etc.). Most cases of physical disability require treatment by one or more types of therapy. Some cases require long term, and perhaps, lifetime therapy. Extreme or profound physical disability may involve part or full time in home care and nursing, or placement in a skilled nursing facility. Often, a life care plan is developed to better estimate the type of care required, and the cost of this care,over the course of a disabled person's lifetime. Often, medical and legal professionals refer to injuries as "catastrophic." There is no single definition of catastrophic injury. Severe brain or spinal cord injury with paralysis, or an accumulation of various injuries leaving a person substantially disabled may be considered catastrophic. The term is used with long term or permanent injury occurring as a result of a single event, and causing disability to the extent that a person can no longer be gainfully employed, or participate normally in various activities of daily living. The term also presumes that some form of assistance with daily activity is required. For legal and medical purposes, the term catastrophic refers to the physical injury and disability suffered by a person from an event, not the nature of the event itself. A simple, every day activity gone awry, a fall down a stairway, or a motor vehicle collision can lead to a catastrophic injury. A tornado or flood may be catastrophic, but not necessarily cause catastrophic human injury. Brain injury may result from direct physical injury due to contact with or penetration by a physical object; acceleration-deceleration (such as in an auto collision, or an amusement ride gone wrong); repetitive events of contact (contact football, boxing and martial arts, or shaken baby syndrome); substance abuse (fetal alcohol and methamphetamine syndromes); other types of toxicity or poisoning; negligent medical treatment (misdiagnosis of brain tumor, negligent delivery of a baby, toxicity due to prescription error); respiratory or circulatory interruption or failure (stroke, heart attack, lung failure, high blood pressure); and other, numerous causes. A concussion is a type of brain injury. Concussions and other types of brain injury are, generally, cumulative in nature (the effects of repeated injury add to each other to cause an increasing number and severity of symptoms). Automobile collisions, amusement park thrill rides, blows to the head, and other events may cause a person or their head to rapidly accelerate then decelerate, in only a fraction of a second. This rapid motion may cause the brain to move about within a person's skull, and may result in: tearing, shearing, and injuring brain tissue; bleeding and pooling of blood; and disruption of pathways for cerebral-spinal fluid, any of which may result in pressure on and destruction of brain tissue. Due to the gelatin like nature of the brain, a blow to one part of the skull may cause a brain injury at the site of the blow, and/or may transmit a strong shock wave through the brain to the other side of the skull, injuring brain tissue on that opposite side, or throughout the brain. Penetrating injuries from bullets, knives, and other foreign objects are obvious cause of brain injury. Toxic chemicals, substances, medicines, and toxins created within the body may enter the bloodstream and cross into the brain, injuring or destroying brain tissues. Disease processes, chemical or drug toxicity, and the body's own immune system reaction to injury, disease, and trauma, may result in brain injury, especially when not promptly medically diagnosed or treated. Brain injury is often socially observable, as in short term memory loss or word searching. 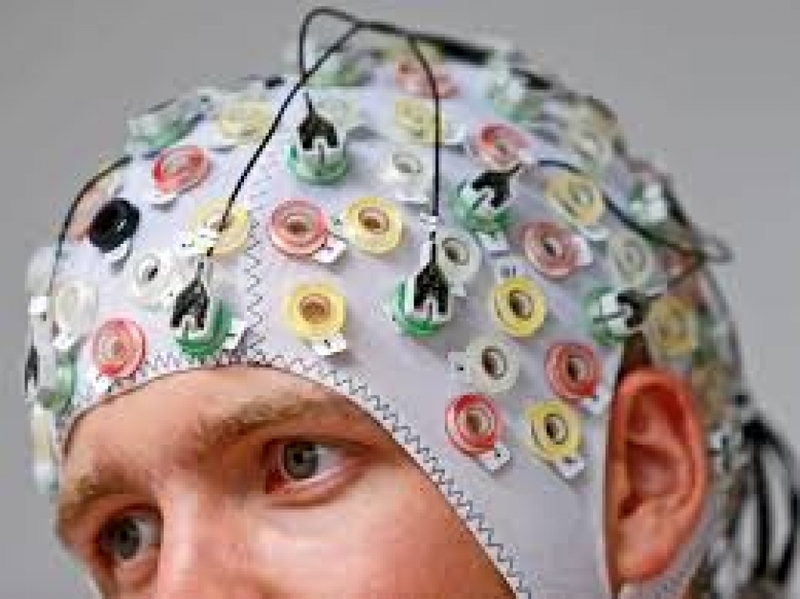 Clinical tests may include observation, testing, or recording of: memory; brain wave activity and patterns; neurological testing; physical functioning (walking, balance, reaction times, and coordination); and acuity of sight, hearing, smell and taste. Neuro-psychological testing may occur, where a multitude of physical, developmental, educational, psychological, emotional, and other such brain related functions and affects are tested and compared. Symptoms of brain injury may include, but are not limited to, one or more the following: altered states of consciousness or loss of consciousness, or blackout (especially at time of injury or event); short term memory loss (where an injured person does not remember recently acquired, new information); confusion; severe or constant headache; sensitivity to light or sound; word searching; vertigo (dizziness, spinning environment); nausea; sensory alteration (reduced or lost hearing, sight, smell, taste, or touch); motor control (arm, leg, hand, foot movement, balance, etc. ); amnesia (loss of previously acquired historic or permanent memory of facts, information, and experiences); alertness and awareness of self, time, or place; expressing or exercising poor judgment, emotions, behavior (especially uncharacteristic or aggressive physical actions or responses). There may also be a noticeable and often scientifically measurable change in cognition (the process of perceiving and acquiring knowledge and understanding through thought, experience, and the senses). Symptoms of brain injury should be taken seriously, and acted on by seeking medical evaluation promptly. Please refer to "Brain Injury / Generally," first, for a discussion of the general nature, symptoms, and causes of brain injury. As is more thoroughly discussed there, acceleration-deceleration events, with or without the head contacting any object; any event in which the head is struck, injured, or penetrated by an object; and, toxicity from various causes, may cause brain injury. Unfortunately, persons suffering the injury and their family members fail to correlate alterations of sight, hearing, and taste and smell with brain injury type events. This occurs even though the onset of symptoms relate in time and place to an event of physical injury, and the onset of other brain injury symptoms. Also, injured persons are often unaware of the anatomy of the brain and senses, and the mechanisms of brain injury. Many mechanisms of brain injury can result in direct injury to areas of the brain that control or affect sight, hearing, and smell and taste. Brain movement may cause shearing of the olfactory nerves, which extend from the brain, through tiny holes in the skull, to the nose. Significant injury to the olfactory area of the brain can also occur, from penetration, blunt trauma, and acceleration-deceleration. These events cause a loss of smell, and severely altered taste. The sense of taste is dependent on smell. A person's tongue recognizes bitter, sweet, sour and salty flavors (recent science also claims the tongue helps recognition of spoiled or unsuitable food). Regardless, the complex nature of taste results from the smell or odor of food placed on the tongue combined with one or more of the four basic flavors recognized by the tongue. Taste, it is said, is 80% smell. Without smell, flowers are odorless, and pizza tastes like cardboard. Similar events of brain injury may cause impairment to or complete loss of sight in one or both eyes. Sight related symptoms of brain injury may include: blurred vision; sensitivity to light; sore, aching, eyes; reading problems, including "movement" of words and phrases; difficulty comprehending ordinary objects and shapes; "double" vision; headaches caused by visual concentration; unusual eye movement or difficulty controlling movement or focus; and, changes or reduction in depth and spacial perception and area or field of vision. Increases in fluid pressure within the eye, or external pressure on optic nerves, can cause permanent damage to vision, and blindness. Hearing related symptoms of brain injury may include: speech and sounds becoming "muffled" or unclear; difficulty in understanding normal speech and conversation, with difficulty increasing with background noise; increasing the volume of radio or television broadcasts beyond what was usual prior to an injury, or to a level considered loud by others; difficulty in hearing high or wispy tones or noises, and consonants in speech; frequently requesting others to speak more slowly, loudly, and clearly, or repeat themselves, during normal conversation; and avoiding or withdrawing from conversation and social events and settings. Hearing impairment may be caused by direct injury to the various small bones, cartilage, tissues and organs of the inner ear, or injury to nerves and brain tissue responsible for hearing. Symptoms of brain injury should be taken seriously, and acted on by seeking medical evaluation promptly. If a person dies as the result of negligence of another, there are special laws in every state that determine the damages that may be claimed. Generally, an estate must be opened and a personal representative must be appointed. The personal representative is usually the executor named in a will. If there is no will, the personal representative is usually a surviving family member. In either instance, the personal representative must be approved by the appropriate court, after special notice of the court hearing has been served on certain family members, and all beneficiaries named in a will.